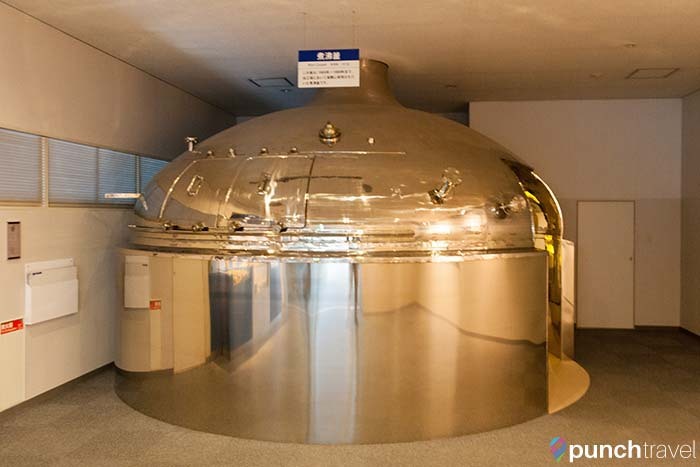 There are so many great Japanese beers, so we definitely wanted to take advantage of our time in Japan to see first hand how some of these beers are made. After visiting the Sapporo Beer Museum earlier in the week, we continued our visit in Sapporo, Hokkaido with a tour of the Asahi Brewery. 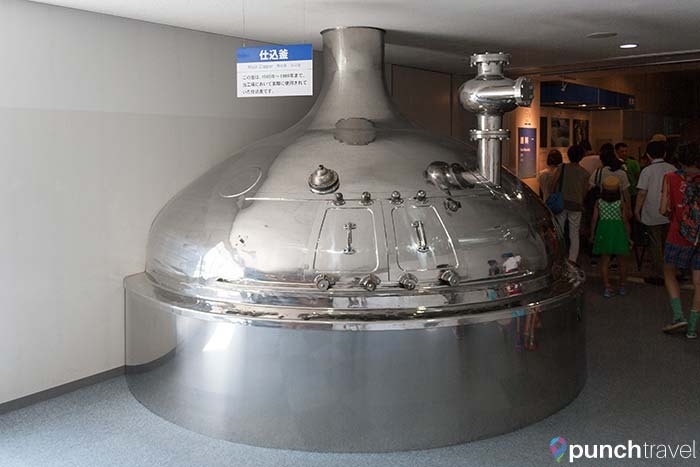 The Hokkaido Asahi Beer Factory is unique in that it is the only large-scale brewery in Sapporo that offers actual tours of the factory. 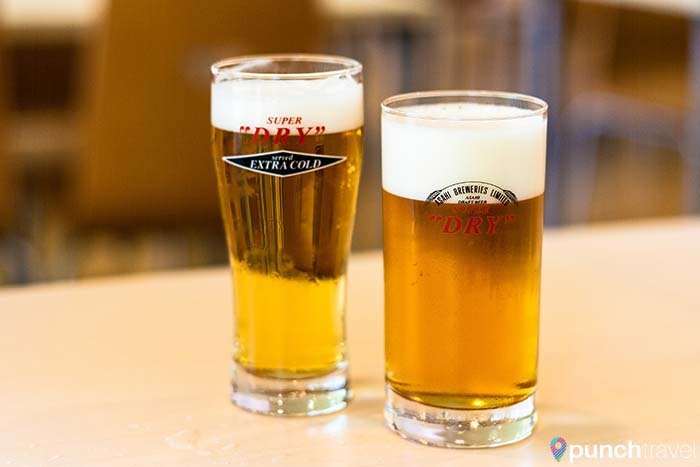 Plus, the tour, which is free, includes three glasses of beer for tasting! 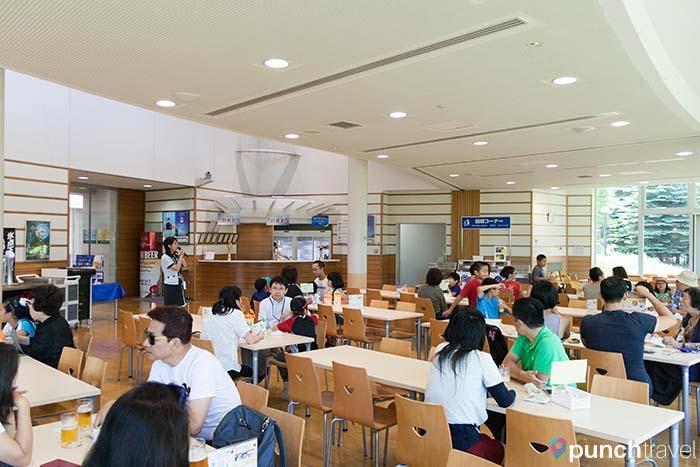 Tours are available in Japanese and English, and reservations can be made by booking over the phone (details at the end of the post). Since we were staying nearby, we walked to the factory and made our reservation for the next day. Unfortunately there weren’t enough English-speaking visitors signed up for our time slot, so the tour was conducted in Japanese. We received handheld audio guides to help us throughout the tour. The audio guides are available in English, Chinese and Korean. As we waited for the tour, I perused the gift shop. 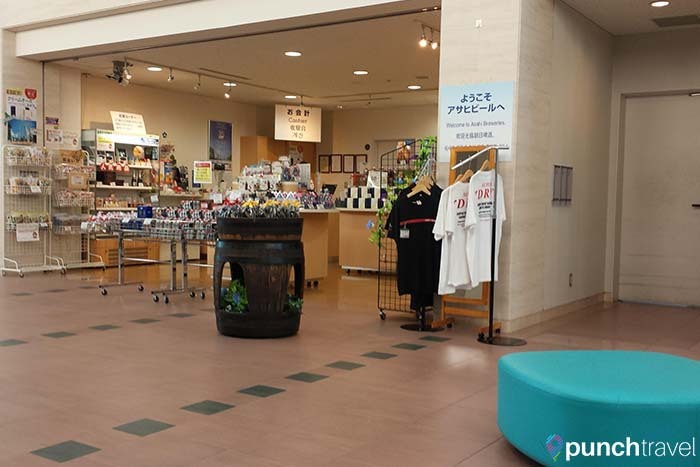 The gift shop sells Asahi products and other cute souvenirs, like a stuffed bear, pretzels in a mini beer keg, and beer cake. Did you know that Asahi also makes lotion?? The tour began with a short overview video in Japanese. From there we walked past a boiling walt pan and into the first part of the tour on how beer is made. 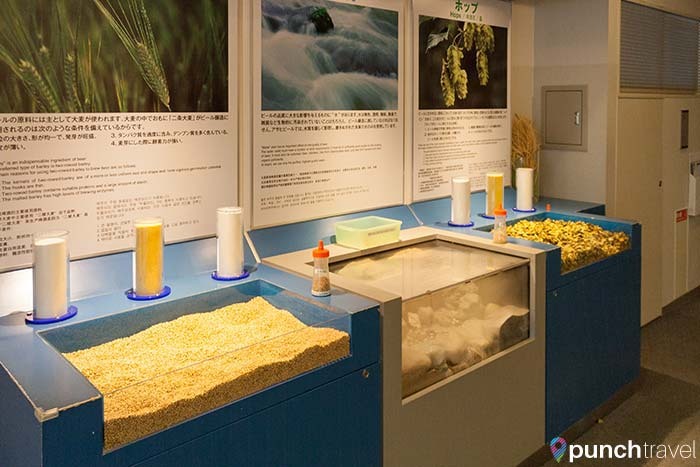 We learned about the three components main raw materials of beer: barley, hops and water. We even sampled the raw barley, which tasted like both tea and bread. We then passed displays on the mashing, fermentation and filtration process. Each of the displays corresponded to a number on our audio guide so that we could follow along easily. The coolest part of the tour was viewing the actual factory where the filling and packaging process takes place. The assembly line produces 50,000 kiloliters of beer each year. If you have the chance to go on this tour, try to go on a weekday when the factory is operating. Unfortunately, no photos were allowed in this area, but I can tell you that it was really fascinating to view how the beers and kegs are prepared. First we saw how kegs are filled with Asahi beer. An electronic board at the front of the room shows the number of kegs that had been filled that day. 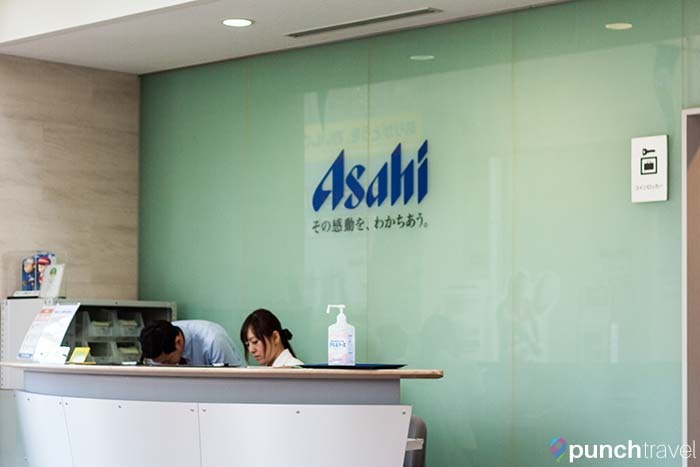 The next part of the factory was a huge room humming with the energy of hundreds of cans of Asahi Dry Premium being assembled, filled with beer, wrapped in cartons and loaded into boxes. Cans moved rapidly down conveyor belts while pallets of cardboard were stacked and then wrapped around the cans of beer. Robotic arms moved expertly around the conveyor belt, moving cans and boxes around. It was really mesmerizing to watch the cans and packages moving down the assembly line. I could have watched it forever! Hard to top that right? Well, after the factory viewing, we walked into an area of displays about Asahi Group’s “Environmental Vision 2020”. This initiative seeks to help realize a sustainable society through environmental activities around four key themes. Asahi even has its own forest, Asahi Forest, which is used to promote biodiversity and host educational programs. Okay, on to the real piece de resistance. 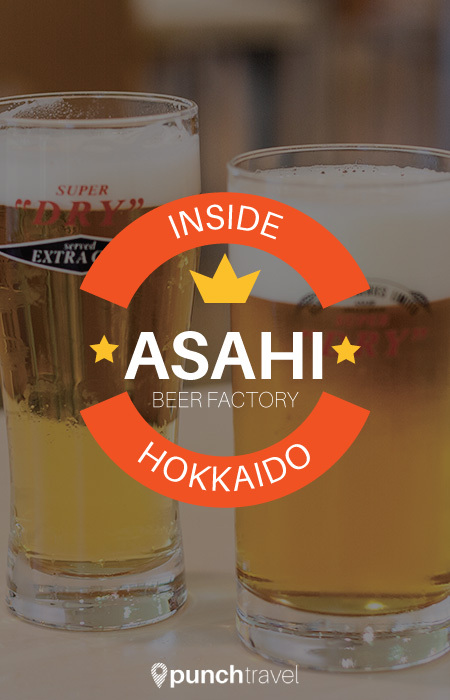 The tour concludes in the Tasting Room, where we each sampled three glasses of Asahi beers. When I say sample, I mean 285ml half-pint size samples. 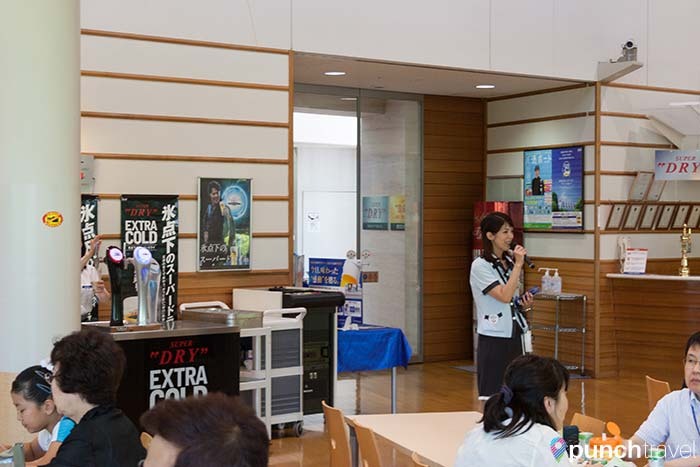 Available to taste were four varieties of Asahi Beer. 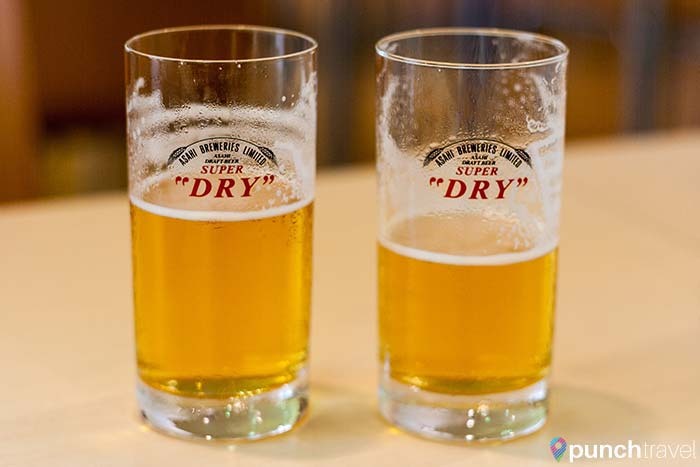 First we tried Super Dry, the classic lager beer that you find in the supermarket. We learned that the Asahi Super Dry that we get in the United States is actually brewed in Canada, and is not as good as the version that you can get in Japan. I don’t know if I would be able to tell the difference if subjected to a taste test, but the Super Dry we tasted was undoubtedly fresher from the source. Next we tried the Super Dry Premium. This was probably my favorite, as it had a slightly hoppier taste. Next we tried the Extra Cold beers. These beers are served at sub-zero temperatures, beer turning to ice at about -3C . We tried the lager version as well as the Extra Black stout version. 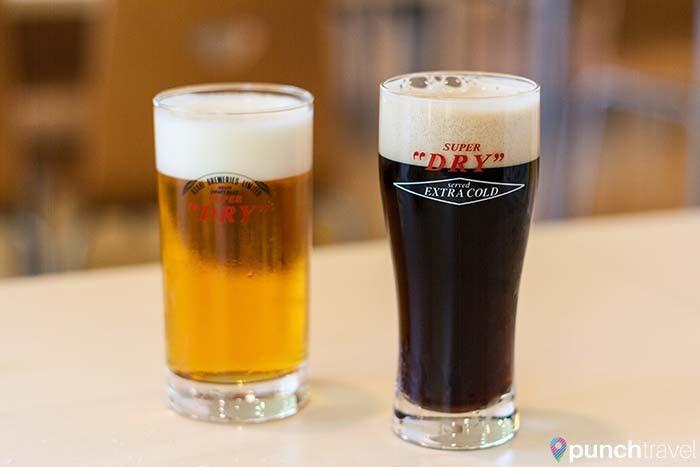 While the Extra Black version wasn’t as creamy as another popular stout beer like Guinness, both Extra Cold beers were indeed very refreshing. Although the samples were very generous, there was not a lot of time spent in the tasting room. After 20 minutes, our time was up, whether or not we had reached our three beer quota. I am ashamed to admit that we did not finish our third beer. Unfortunately that was the end of our tour. It was probably one of the best brewery tours I’ve been on, and I have been on a lot. The highlights of the tour were seeing the real, working factory and the generous tasting session. In addition, the staff were all very nice and went out of their way to help us and make sure that we had a good time. We loved it so much, we’re going on the Asahi Brewery tour in Nagoya as well!